Gold and silver of Louisiana is proud to serve St. Tammany Parish residents who may be interested in buying or selling silver coins & bullion. 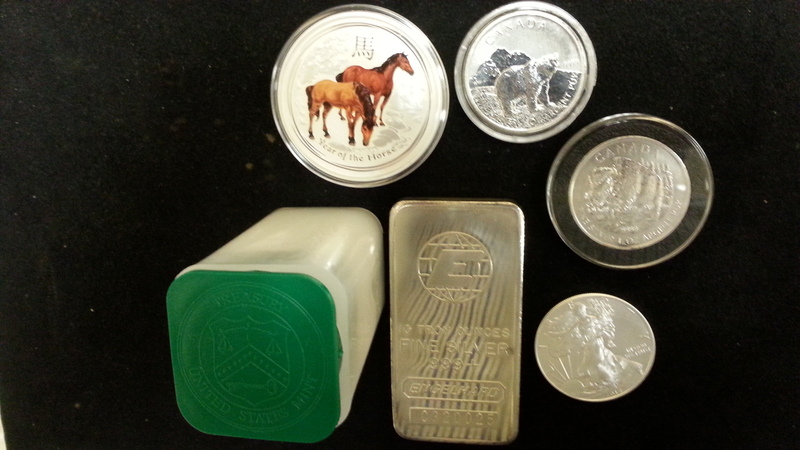 Our company deals in a variety of rare coins and precious metal bullion in Covington. We have extensive experience dealing with many numismatic coin varieties as well as coins traded for their precious metals content. If you are interested in selling coins, we will evaluate the coins condition, rarity, and current market value in order to offer you the most for your coin or collection. If you are looking to buy coins, we carry an extensive array of numismatic, semi numismatic, and precious metal coins on the north shore in St. Tammany Parish. Some examples of what we may be looking to purchase or offer St. Tammany residents include: Morgan and Peace silver dollars, Fractional silver (40% and 90%), silver Eagles, Maples, professionally graded coins, proofs and many more. We are confident that whether you are buying or selling, your experience with Gold and Silver of Louisiana will be informative and pleasant. We actively serve customers throughout Louisiana and are conveniently located in Covington just a short drive away from Mandeville, Madisonville, Folsom, Bush, Robert, Tangipahoa and Washington Parishes.